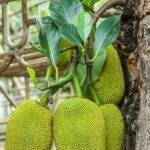 I have a 10 year old jackfruit tree in my garden It was bearing lovely fruits til 2 years ago. We had to prune some of the branches. 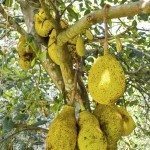 And after that it has stopped giving fruits for the last two seasons. Has pruning stopped the fruits, or there may be some other reason? What should I do now? It has, likely, slowed the tree down. It still has a chance, though. Just make sure to fertilize once per year, and even mulching around it can help.